This educational festival focuses on our area’s rising kindergarteners and their families to mark the exciting transition into school. 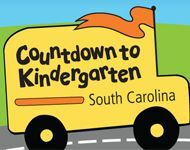 Countdown to Kindergarten gathers families, educators, and community members to support this transition – and gives us all a reason to celebrate this developmental milestone for our early learners! The evening event features free admission to the Main Street Children’s Museum, 30 plus community exhibitors with activities and games plus children’s musician Roger Day. Event is a partnership between the Culture & Heritage Museums, York County First Steps, Clover, Fort Mill, Rock Hill and York School Districts.